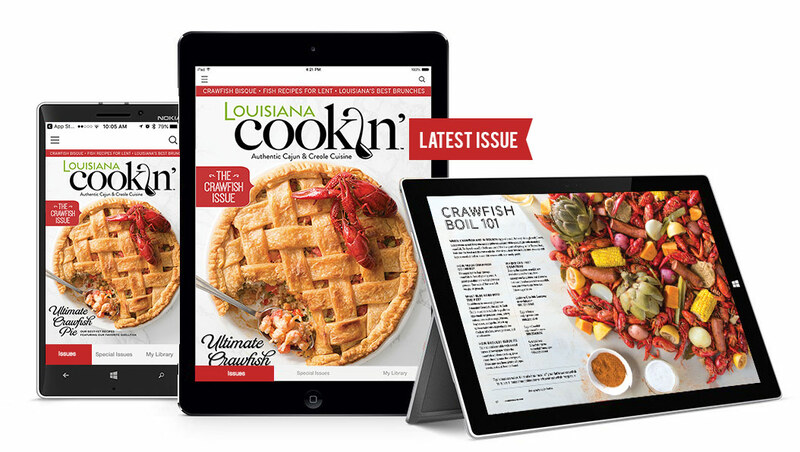 The Louisiana Cookin’ tablet edition brings you all the best of every issue in an easy-to-access format! Free full screen preview of each Issue and Special Issues. Browse before you buy just like at the newsstand. You can now “Clip” your favorite content or recipes and email to yourself to print or save. The new app also contains direct access to everything digital : Facebook, Instagram, Pinterest, Twitter and our Website, all within the app! *New features available only on the Apple iOS.